If you travel frequently and would like to earn rewards on travel and dining out, Bank of America® Premium Rewards® credit card is one of the best credit cards for what you do. It offers unlimited 2 points for every $1 spent on travel and dining purchases. If you are a Bank of America Preferred Rewards client, your rewards can go up by 75%, which means that you can earn up to 3.5 points for every $1 spent on travel and dining out. In addition, you can earn 50,000 bonus points after qualified spending, which can be redeemed for $500. You can earn another travel credit of $200 to pay for airline incidental and airport expedited screening, such as baggage fees, in-flight services, Global Entry, TSA Pre✓, etc. If you spend at least $3,000 in purchases within your first 90 days of becoming a card member, you will receive a bonus of 50,000 points, which can be redeemed for cash rewards of $500. It usually takes about 8 to 12 weeks from qualifying for the 50,000 bonus points to post to your rewards balance. In addition, you can get up to $200 in travel credit to pay for airline incidental and airport expedited screening statement credit. You will earn unlimited 2 points for every dollar spent on travel and dining purchases and unlimited 1.5 points per dollar spent on all other purchases. Points can be redeemed in your online credit card account for cash rewards, gift cards, or travel. Each point redeemed is worth $0.01 (For example, 2,500 points can be redeemed for $25 in cash rewards or gift cards). Therefore, your rewards is equivalent to 2% back for each dollar you spend on travel and dining purchases and 1.5% back on all other purchases. 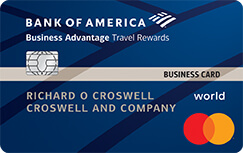 If you are a Bank of America Preferred Rewards customer, you can receive up to 75% additional bonus on your base rewards, which would boost your rewards to 3.5% for travel and dining, and 2.625% on all other purchases. Depending on your eligible tier of Preferred Rewards, you can get a 25%, 50% to 75% rewards bonus on the baseline rewards. There are 3 tiers in the Preferred Rewards program: Gold, Platinum and Platinum Honors. Your tier is based on the combined balances of your qualifying Bank of America® banking and/or Merrill Edge® and Merrill Lynch® investment accounts. If you have an IRA account or a mutual fund account, you can simply choose Merrill Lynch for those investment accounts to easily help qualifying for the 75% bonus. The following chart shows the qualification requirement of account balance and rewards for Gold, Platinum, Platinum Honors tiers of Preferred Rewards. There is no limit to the points you can earn, and your points don’t expire, which means you don’t have to worry about losing rewards points. The airline incidental credit can help you pay for fees such as checked baggage or in-flight refreshments. The airport expedited screening program, such as TSA Pre✓ and Global Entry, can save travelers 20 to 30 minutes in most airports. TSA Pre✓ provides expedited security screening benefits for flights departing from U.S. Airports. Global Entry provides the TSA Pre✓ benefit plus expedited US customs screening for international air travelers when entering the United States. TSA Pre✓ costs $85 and Global Entry costs $100 for a five year membership. 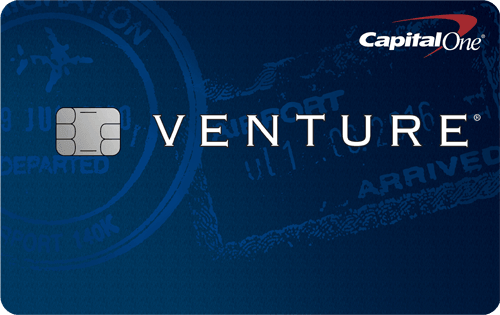 The travel credit will be automatically applied to your card statement. When your points balance is 2,500 points or more, you can redeem your points for cash rewards, including a statement credit, an electronic deposit into a Bank of America® checking or savings account, a contribution to an eligible Cash Management Account® with Merrill Lynch Wealth Management® or Merrill Edge®, or College 529 savings account held at Merrill Lynch. Points may also be redeemed for travel at the Travel Center, or gift cards. Cash rewards shall be issued for a U.S. dollar sum and may be requested on demand. Each point redeemed is worth $0.01 (2,500 points = $25). To redeem points, you just need to sign in to your online account of Bank of America® Premium Rewards® credit card and click on the “Rewards” tab, which will show the point balance of your account, along with an option to redeem the points for cash rewards, travel, or gift cards. There is an annual fee of $95. With all the travel benefits and a generous bonus valued at $500, frequent travelers can easily earn enough rewards to offset the cost of the annual fee. 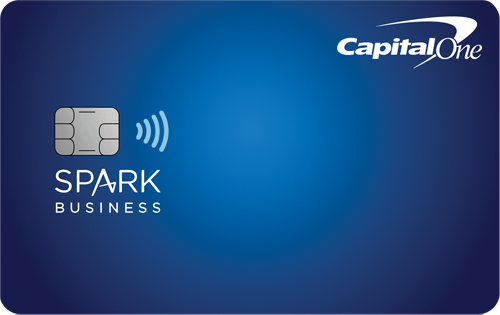 The Bank of America® Premium Rewards® credit card is for people with good or excellent credit rating. If you have a credit score of 700 or more, you may be qualified for the credit card. If you value rewards and like travel benefits such as expedited security screening or airline incidental credit, the Bank of America® Premium Rewards® credit card is the right card for you. It is one of the best travel credit cards with no foreign transaction fees. It offers a solid 2% rewards on travel and dining purchases. Furthermore, if you are a customer of Bank of America or plan to do so in the future, you can take advantage of the extra rewards bonus for Preferred Rewards members, which will increase your travel and dining rewards to as much as 3.5% back. This credit card has a low annual fee of $95, but it offers 50,000 bonus points for new card members, which can offset more than five years of annual fee. In addition, its generous rewards and valuable travel perks make it a useful credit card for travelers. If you are interested in the Bank of America® Premium Rewards® credit card, you may also consider a few other travel credit cards with similar benefits.